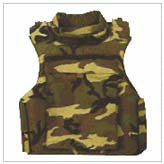 Our range of bullet proof body armor is manufactured for defense, civil & paramilitary personnel. 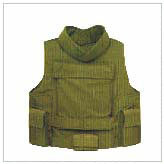 The ballistic material is Polyethylene (DYNEEMA) or Aramad (Twaron/Kevlar). It offers protection of NIJ IIIA. 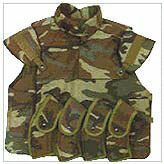 The jacket can be modified with two pockets (front and back) to insert Hard Armour Plates to upgrade the jacket to NIJ level III or IV. User friendly shapes, sizes & designs. SAPs & HAPs manufacturing with CAD-CAM support. Removable Soft Armor Panels (SAP) for washing & dry cleaning. Moisture-proof & sealed SAPs & HAPs. Detachable & foldable groin, neck & collars. Repeat quality, 100% protection with economies in place.